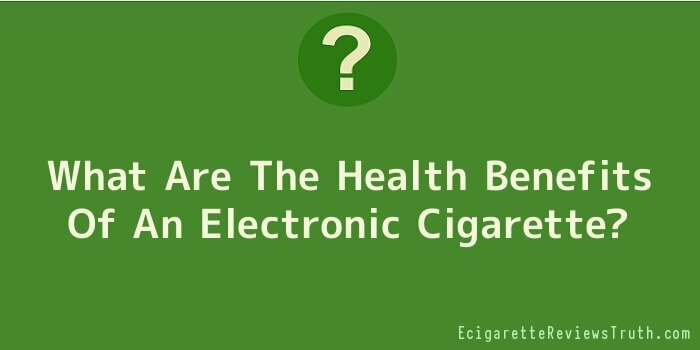 It amazes me how something that can help people quit smoking has raised so many questions, confusion, and fear in the minds of many smokers from the contradictory stories concerning the electronic cigarette benefits on health. I wanted to dig a little deeper and find out some facts when comparing the e-cigarette to that of a traditional cigarette and what I found was quite amazing. I think you’ll agree that common sense in most of this is all that is needed to see the clear benefits of using the e-cig. What’s in an E-Cigarette Anyway? This is something that is truly amazing to me as a former cigarette smoker. First, the e-cigarette has no tobacco, so nothing is burning when you use the device. The entire device is a battery, cartomizer or atomizer, and e-liquid – this is the basic makeup of the e-cig. So, it is the e-juice, which is liquid nicotine that the battery warms inside the cartomizer or atomizer when the user puffs. However, the e-liquid is not pure nicotine as some reports have claimed; there are other harmless substances that make it up. The e-liquid typically has a base made of propylene glycol, which the FDA classifies as a food and safe. Another ingredient that may be found is vegetable glycerine, and the FDA classifies this as sugar alcohols. Of course, nicotine alkaloids are also present, which are taken from the tobacco plants. In tobacco, flavour e-juice, typically a tobacco essence is used to enhance the flavour. Menthol is another common ingredient and this comes from mint oils. The final ingredient is water. Analog Cigarette – What’s in Them? Carbon monoxide – this gas is poisonous and accounts for robbing the smoker of oxygen. When I quit smoking analog cigarettes I noticed that my skin gain colour and that was due to my blood having more oxygen and less carbon monoxide You get the idea here that there is a lot of bad “stuff” that makes up every single cigarette that is smoked. As I’ve mentioned numerous times, these chemicals are not what the smoker is addicted to – it is the nicotine. If the smoker was given nicotine-free cigarettes, they would soon go into nicotine withdrawals. There is no question that nicotine is addictive, no one argues that point, but how it is delivered is a huge issue and what has caused so much debate over the e-cigarette. The debate will surely continue for quite some time over the health benefits associated with using the e-cigarette as opposed to smoking traditional cigarettes. One thing that is quite clear is people like me and countless others have seen and felt the benefits on their health. These positive effects have made advocates out of many ex-smokers all around the country. So as the arguments for and against the e-cigarette goes on, many people are benefiting from breathing in oxygen and their bodies actually absorbing it for the first time in years due to the carbon monoxide (caused by traditional cigarettes) reduction in their blood after switching to the e-cigarette.